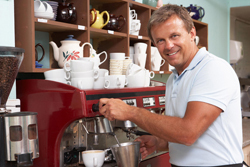 Ever think about buying a business franchise? There are as many good reasons for not doing it as there are for taking the plunge. Franchises are everywhere. There are literally thousands of franchises available in the United States, from Subway, McDonald's, Wendy's, and Burger King to Jiffy Lube, Good Feet, Yum Yo's Yogurt, Ace Hardware, Domino's Pizza, Real Property Management, and Merry Maids. Some franchises cost a ton of money, while others are relatively inexpensive. And there are franchises for almost every type of business, from fast food to fancy cars. So how do you choose one that's right for you? Carefully, very carefully. First, you must do a tremendous amount of research into the available possibilities. Owning your own business can be very rewarding, but be sure you know what you're getting into, because it also can turn into a nightmare. Your research should include financial, legal, and accounting aspects of potential purchases. Location is vitally important. Will your franchise be in an area that will provide sufficient customers to make it a financial success? The biggest questions--and the most important--are how much the business will cost, how much money you have, and how much money you can raise. Track record of success. Any good franchise company has developed a method of doing business that works well and produces successful results. Strong brand. One of the biggest advantages of franchising is that the company is building a brand on a regional or national basis that should have value in the eyes of customers you're trying to attract. Training programs. A good franchise company has training programs designed to bring you up to speed on the most successful methods for running the business. Ongoing operational support. Franchise companies have staff dedicated to providing continuing assistance to franchisees. You're not alone when you're building and running your business, and you always can call on experienced people when you hit a rough spot or want to share new ideas for growing the business. Marketing assistance. A franchise company has marketing assistance to provide you with proven tools and strategies for attracting and retaining customers. Real estate assistance. Most franchises have manuals and other documentation, as well as staff, to help you find the right site and negotiate the best possible deal on your site. Expensive startup costs. You may have to pay a nonrefundable franchise fee of several hundred thousand dollars before you incur the other usual costs of opening a business. This can be critical in the profitability outlook for your business, which on average can take two or more years just to break even. You aren't really the boss. The franchisor sets many of the rules and regulations for operating your franchise, including prices and the appearance of your business. These limitations may be acceptable, however, because you chose the franchise in the first place, believing it to be the best fit for you. Unwanted competition. You may look out the front window of your business one day and see that a franchise operation just like yours is opening directly across the street. This is possible, and happens too frequently, because many franchisors reserve the right to sell their franchises anywhere they please. Royalty payments and advertising fees. A franchise business usually has to pay monthly royalty payments to the franchisor. These usually are based on a percentage of your sales and come out of your profits. Many franchisors also assess advertising fees, but your contributions may or may not be used to advertise your franchise. A court has ruled that a franchisor has no fiduciary duties to its franchisees. Poor legal recourse. A franchisee has little legal recourse in case of a dispute with the franchisor. Most franchisors require franchisees to sign agreements waiving their legal rights under state and federal law. Price rigging on supplies. Many franchisors dictate where and from whom you can buy your supplies. Most franchisors get kickbacks from vendors, resulting in higher prices for you. If you are thinking about buying a franchise, we can help you make an informed decision and help you consider possibilities for raising sufficient capital to operate the business.